Sabre 66 Dirigo in Palm Beach FL. SABRE YACHTS has been crafting sail and motor yachts since 1970. 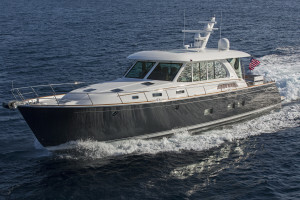 Based in Maine the company has two facilities, one in Raymond, approximately 25 miles north of Portland, and the other in Rockland, which is connected to the facility owned by sister company Back Cove Yachts. The company’s founder, Roger Hewson, set out to build the finest possible 28-foot sailing yacht using production line methods and fiberglass technology. In 1989 Sabre sought to broaden its market and created the first Sabre 36 “Fast Trawler”, a tri-cabin motor yacht. Today the motor yacht range consists of Salon Express and Fly Bridge models ranging from 38 to 66 feet in length, and offering cruise speeds of 25 knots with top end speeds in excess of 30 knots. Sabre’s crafts-people take tremendous pride in their work, and are sensitive to Maine’s marine tradition. More than one third of Sabre’s associates have been with the Company for over a decade, and many have celebrated their second decade with the company. 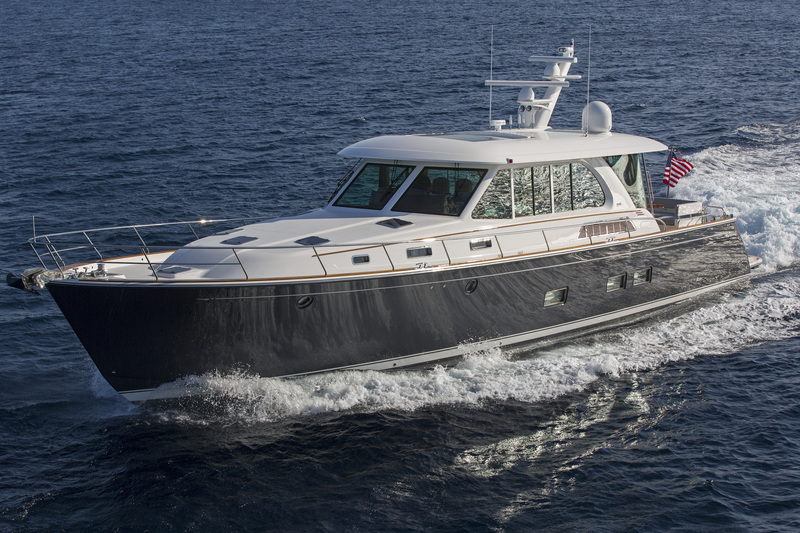 Both Sabre Yacht and Back Cove Yachts take pride in designing and manufacturing boats that make sense to boaters, and approach every hull with reverence for their philosophy of nautical sensibility. Copyright Maine Built Boats Inc., 2014 to present. | Website designed by Rhumbline Communications.